* FREE US MAIL SHIPPING ON ALL OUR ONLINE ITEMS! Welcome to our web site. Our web site is still under construction. Give us a call with any questions you may have. Please check back in the near future. We carry Vertex, Uniden, Bearcat, Midland, Maxon, Icom, Batteries, Chargers, Scanners, Power Supplies by Astron, Antenna's, Maxrad, External Speakers, Repeaters, Coax Cable, Portable and Mobile Radio's. We also have a few used radio's by Motorola, Kenwood. 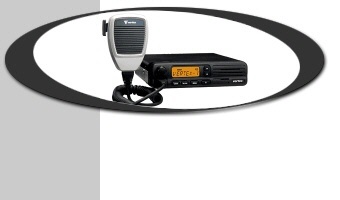 We service most brands of radio's with hundreds of radio parts in stock. Thank you for looking. We want your business and will work hard to get and keep it! We Lease tower space in the Jefferson County, TN for area repeaters. We sell New and Used Radios. We are a Vertex Standard and Midland dealer, However the Vertex Standard sales agreement limits sales only in our sales area. We sale other manufactures radio's, batteries and scanners all across the U.S.
* Free US Mail shipping on all our online items. However, Optional insurance is suggested because we can not and will not be responsible for any lost or damaged items without the optional insurance. Optional insurance is available at $2.20 for the first $100.00 value and $1.50 per additional $100.00 in value.United States Postal Service is used to ship our products and US Parcel and or US First Class Mail is used at our desecration. If other shipping Methods are required give us a call for additional shipping charges.